Today’s Observer has a fascinating account by Saeed Shah of his visit to the home of Mohammed Ajmal Amir Iman (a.k.a. 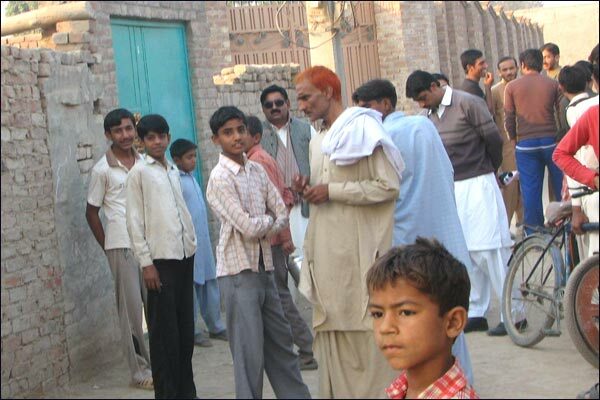 Ajmal Kassab or Ajmal Kasai) in village Faridkot near Okara, Pakistan. Ajmal is the man the Mumbai police have in their custody after having arrested him in the midst of the November 26 terrorist strike on the city. Still the picture was confusing. While sometimes confirming that Amir did live in the village, and had a son called Ajmal, on other occasions locals claimed to know nothing. Attempts to meet Amir, the father, however, were not to be successful. Villagers eventually told us that he and his wife, Noor, had been mysteriously spirited away earlier in the week. >Ajmal's house is swarming with >outsiders who look a LOT like the >kind of agents from Pakistan's >Inter-Services Intelligence I am >familiar with (having been >followed by men like them several >times during visits to Islamabad) >especially the round guy with >dark glasses and the other chap >in a pullover and salwar-kameez That was funny one – here is another :“Trident” hotel terrorist attack-British/American hostages-“Trident” is nuclear missile in British arsenal jointly maintained & developed with America- Trident process was one of Bhabha's research areas – And you know which city Trident hotel/Bhabha is related to…. Understarnd very well the Pak Islamist Army and ISI fundamentalists run Pakistan. Their goal is to weaken India by bleeding it, eventually to break it and then Islam-ize it. Therefore, they will never stop terrorizing India, particularly with the Nukes as a deterrence that they think will prevent Indian military response. Short Term ActionThat along with divert all rivers that flow from India into pak with a clear intent to starve them into compliance. 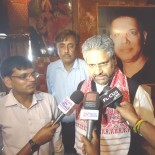 Mid-Term ActionSettle any willing landless person from any Indian state in Kashmir. Provide them with training and latest weapons to protect their land . Clear objective to bring about a demographic change of muslim Vs non- muslim to 20:1 or more . This with even heavier Army deployment on the LOC / IB. Long Term ActionAlso need a culture change from national rovocation of pacifist appeasement mind set to a assertive one. This is a much important issue. Mandatory mental rehabilitation may be needed to successfully accomplish the culture change starting in kinder garden. Mandatory boxing and fight skill training to all high school students. NCC be mandatory activity not optional. this is expected… and i really don’t have much to contribute! This entry was posted on December 7, 2008 by Siddharth Varadarajan in Pakistan, Terrorism.